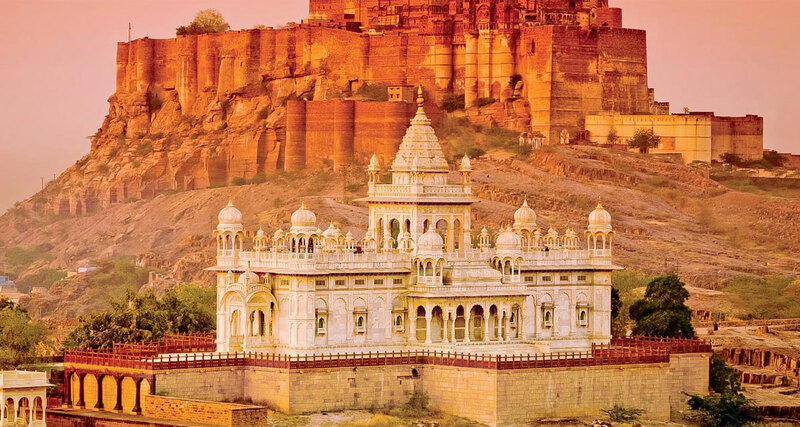 Mehrangarh Fort, Jaswant Thada, and Umaid Bhawan Palace are the three must watch tourist attractions in Jodhpur. Without them your journey to Jodhpur is incomplete. These are one of the finest heritage structures that you must not miss visiting. Zip-lining is always a great fun activity for adventure lovers. 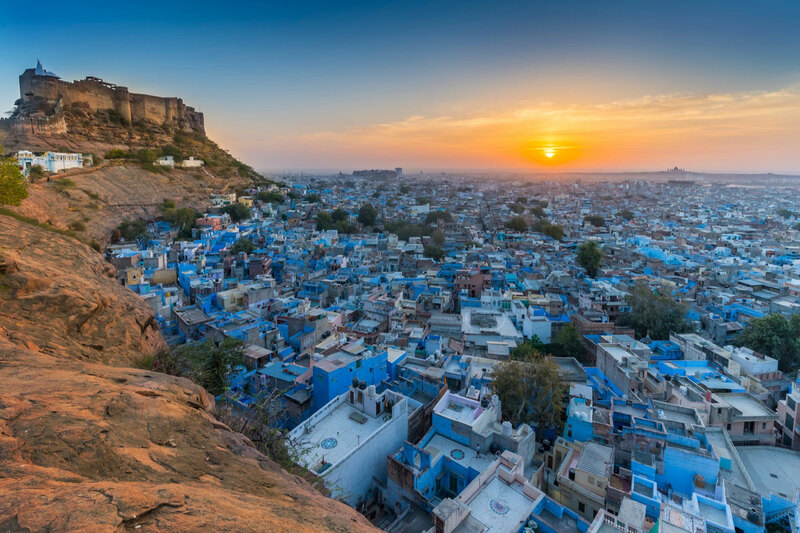 Interestingly, there are 6 zip lines in Jodhpur at Mehrangarh Fort. While flying, you can enjoy the scenic beauty of park, lake, and fort. Entire zip lining takes about 90 minutes. If you want to witness true desert life, never miss a camel ride. 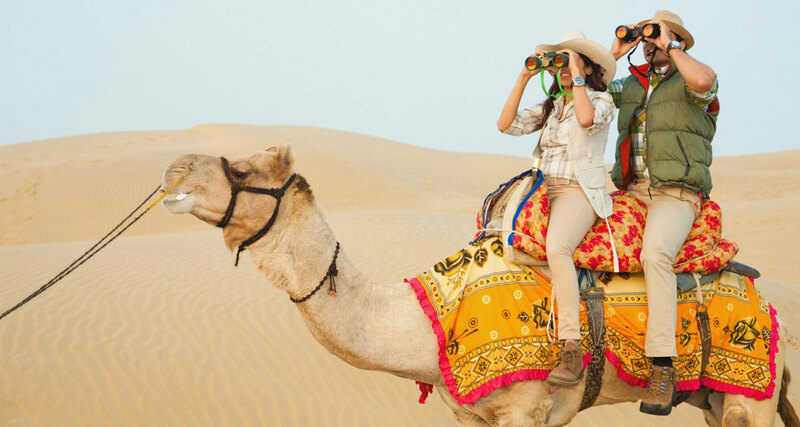 Camel Safari in the Thar Desert is one of the things that almost everyone does in their visit. 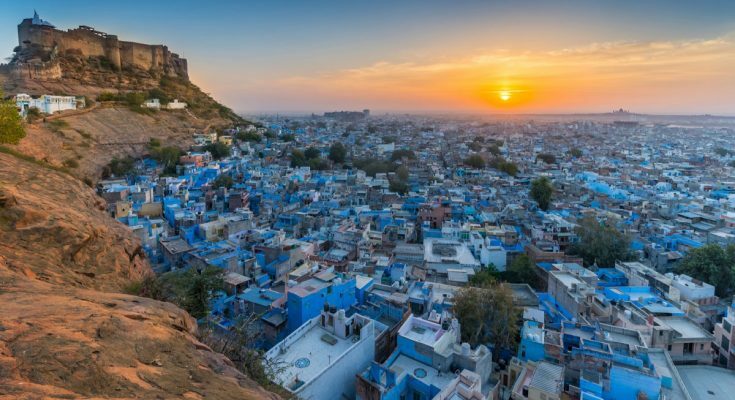 Jodhpur is the perfect place for foodies. From spicy dishes to sweet and mouth-watering desserts, you will find everything here. 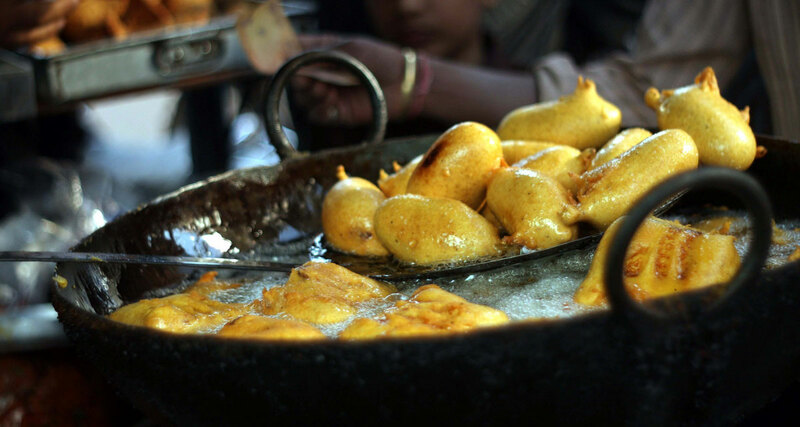 Do not miss to try specialties of Jodhpur like Mirchi Vada, Pyaz ki Kachori, Makhinaya Lassi, Mawa Kachori, etc. Spend some time with your pals by walking around the streets of old city. 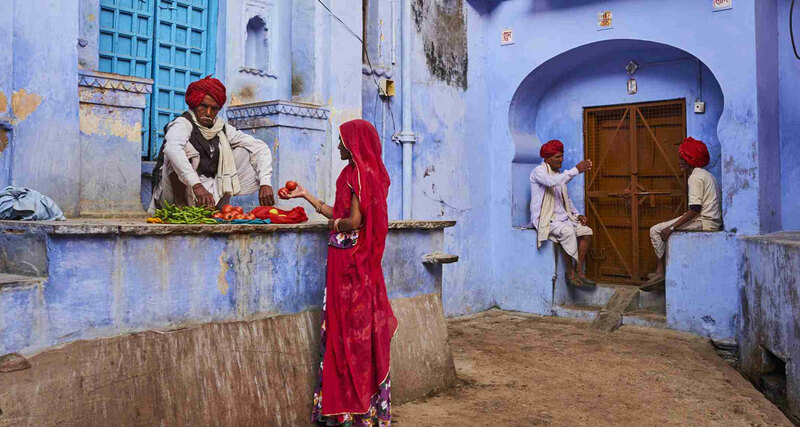 You will love the blue tinted houses, local markets, and friendly people all around. 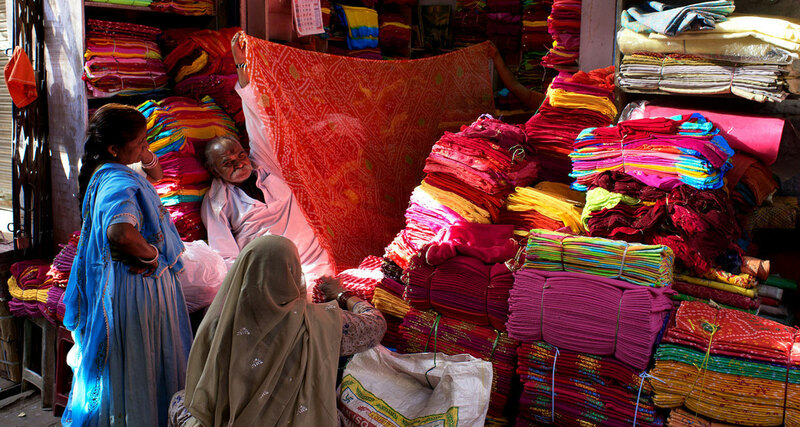 Jodhpur is the biggest exporter of handicrafts in Asia. So, shopping without handicrafts will be incomplete. Shop for Mojaris (a traditional footwear), Bandhej Sarees (a woman-wear dress), and wooden artifacts. Jodhpuri Safa (turban) is famous and is used in all weddings. Jodhpuri Sherwani (a men’s wear dress typically used in wedding and occasions) is something that attracts everyone for shopping at their wedding. Lakh Bangles (hand wear ornament for women) are quite popular here and are exported all over the world. 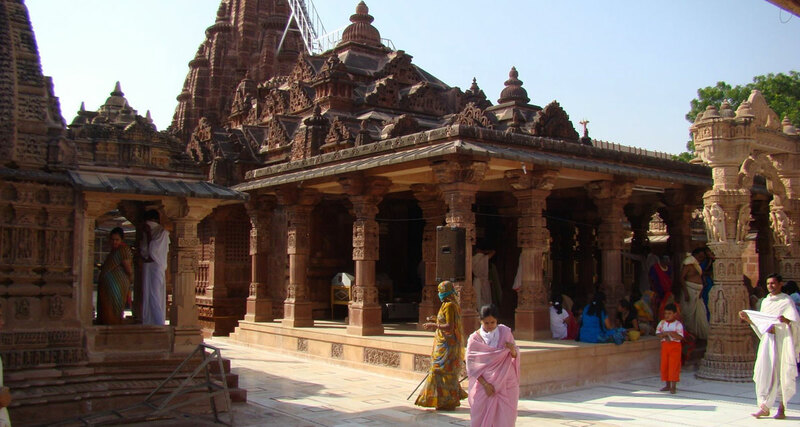 Osian is an ancient town in the great Thar Desert which is located 65kms from Jodhpur. You can reach here via train, bus or a private car. 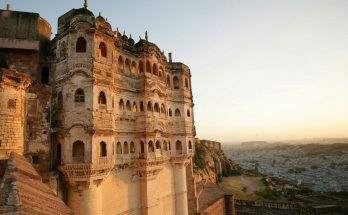 Most of the hotels in Jodhpur offer car rental facility so they can arrange your trip to Osian. A full day guided tour to Osian will be worth spending money. Shri Osiya Mataji (Shri Sachchiyay Mataji) is basically a pilgrimage attraction in Osian and a must-visit temple. 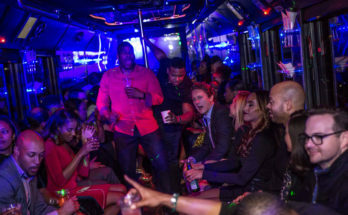 You can also enjoy night camping, camel safari, Jeep safari and quad biking in Osian. Previous Article Reasons why you should start losing weight?